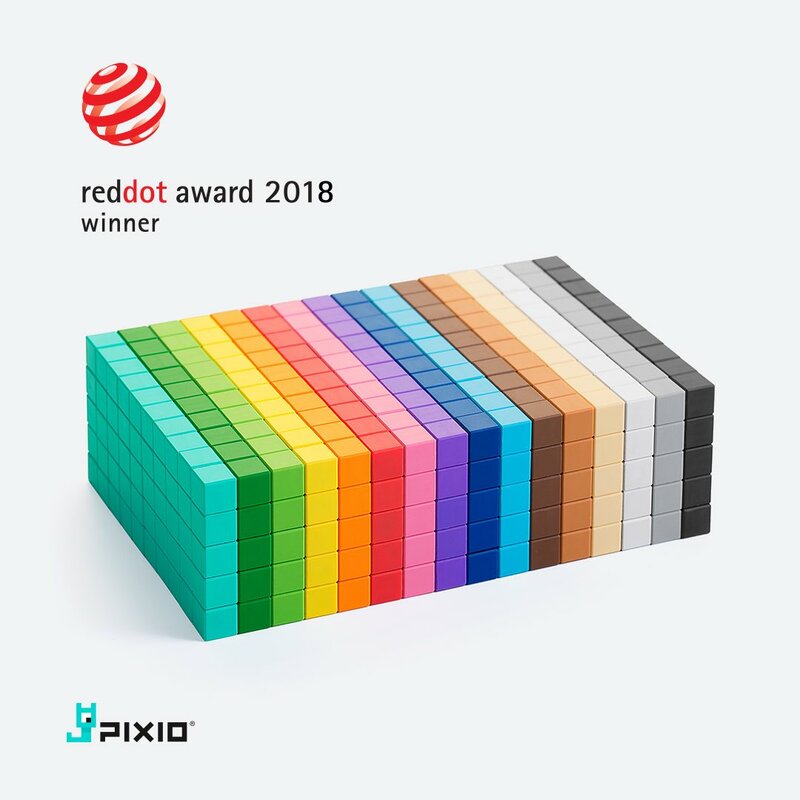 Magnetic construction set in the pixel art style magnetic snap PIXIO is a unique construction set in which PIXIO blocks are connected thanks to a well-thought-out system of magnets. One PIXIO is a plastic cube 8x8x8 mm in size, weighing just over 1 gram, inside of which are 6 powerful magnets. The polarity of the magnets are arranged in such a way that the cubes can be connected to each other in any sequence by different sides. Our construction set allows you to create completely different things, ranging from your favorite characters to figures you invent. Please click here to find out more products! 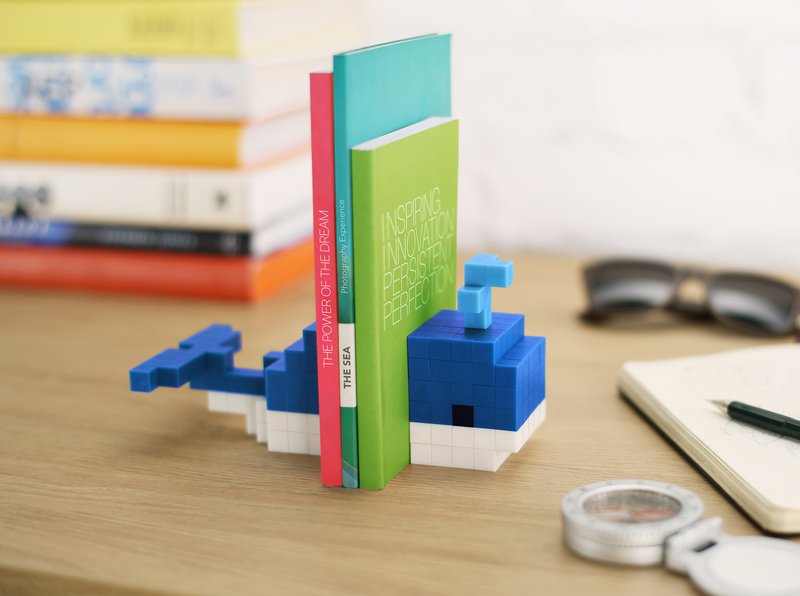 Magnetic construction set in the pixel art style magnetic snap PIXIO is a unique construction set in which PIXIO blocks are connected thanks to a well-thought-out system of magnets. Our construction set allows you to create completely different things, ranging from your favorite characters to figures you invent. This is the easiest construction set to use. Just take the pixio block in your hand and place it where you want it to be connected — BANG! — the pixio block is connected. This construction set will be enjoyed by everyone who loves creativity, technology, design, games, and just fun. 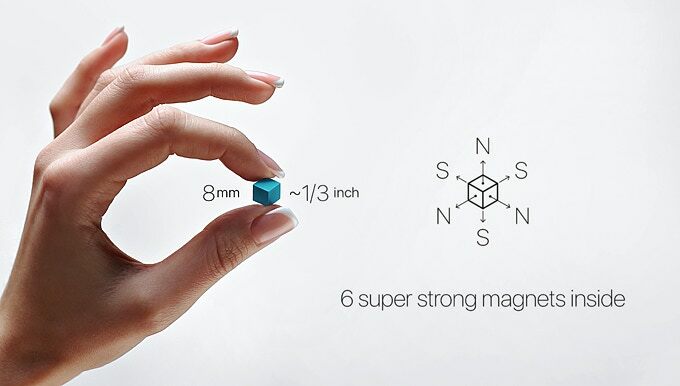 One PIXIO is a plastic cube 8x8x8 mm in size, weighing just over 1 gram, inside of which are 6 powerful magnets. The polarity of the magnets are arranged in such a way that the cubes can be connected to each other in any sequence by different sides. In PIXIO, we use Neodymium (Nd-Fe-B) magnets. They lose no more than 2% of their magnetic force in 50 years. For the absolute enjoyment of playing with PIXIO, we have developed a huge base of ideas, characters, stories, themes, and objects.The most important part of the PIXIO eco-system is the interactive application for tablets and smartphones with thousands creations and instructions.Each PIXIO set comes along with a unique promo code, which gives access to the exclusive app content. GET IT NOW for free! on Google Play and Apple app Store! With the Magnetic feature , you can create just about anything with PIXIO. 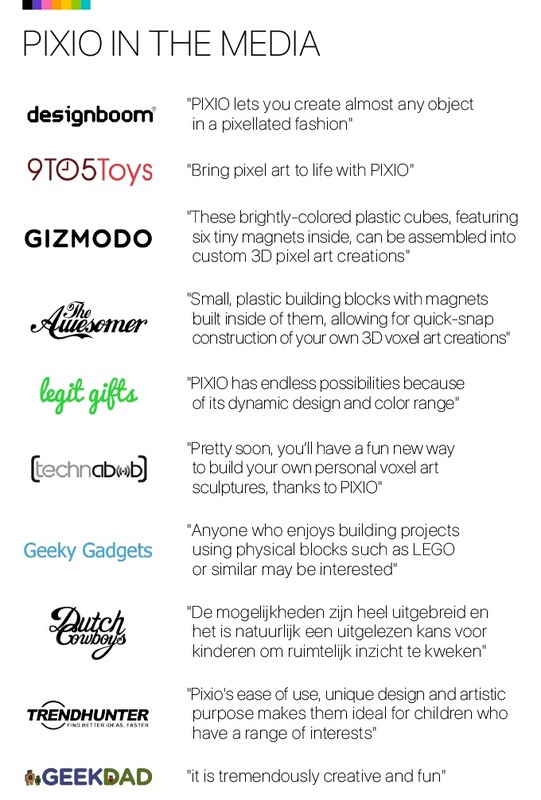 PIXIO was creating buzz and noises around media and getting stellar review from all around the globe!